Gravity Screen is a one of the best app for automatic lock phone screen, its turn screen Off when you put your phone into your pocket or onto a table and turns the screen ON when you take it out or up, you don’t need to press any button or touch the phone screen. This app work with the proximity sensor and motions. 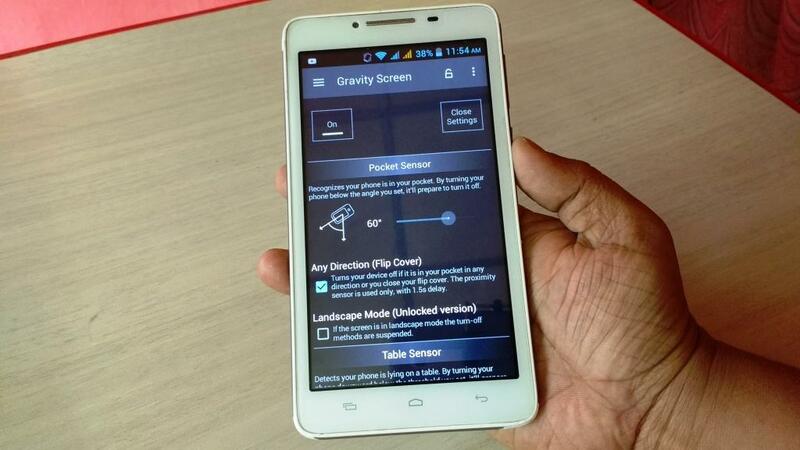 Pocket Sensor: Turn off the screen when phone in pocket and turn on screen when phone out of pocket. Turn Screen On by Motion: If the screen is off and it's facing up the device can be woken up by moving it. Keep Screen On by Motion: It keeps the screen on while you are watching the screen. It relies on the small movements of your hand while holding the device. Smart Lock support: It's a workaround to make the Smart lock feature work fine on devices with Lollipop.